Members and Friends, meet JoAnne Manns. JoAnne is currently a Human Resources Project Lead and Implementation Consultant with ADP as well as the owner of W. I. S.D.O.M. Enterprises Consulting, LLC. JoAnne started her journey into Human Resources after graduating from Chicago State University with her Bachelors in Accounting, minoring in Human Resources. She started her career as an actuary in the financial industry working with companies such as Alexander & Alexander and Lloyds of London, a prominent insurance company known for supporting the interests of celebrities such as Tiger Woods and Oprah Winfrey. After leaving the finance sector and pursuing her MBA from Governors State University, JoAnne eventually landed a position as the Director of Career Services at Harold Washington College, where one of her students convinced her to take a leap of faith and pursue a career in Human Resources in Atlanta, GA. After moving to Atlanta in 1998, JoAnne contracted in several roles with companies such as BP Amoco, Solvay Pharmaceutical, UPS, MCI International, The City of Roswell, and ADP. She also landed a position with a consulting firm and provided human resources services for large clients such as the New York Times. After having the opportunity to work for a consulting firm, JoAnne decided to try her hand at consulting and started W.I.S.D.O.M. Enterprises Consulting, LLC. I didn’t want to keep making other people rich and I wanted to build a foundation for my future. After getting laid off in 2009, I discovered later that I also still wanted to be able to work for a company and still consult. I am working to build towards retirement. I found NAAAHR through Anthony Howard advertising for the PHR prep class on LinkedIn. I knew him previously from ADP. He convinced me to get the membership with NAAAHR and also encouraged me to take the PHR class. I’m so passionate about NAAAHR and the people. I’ve met some amazing people since joining the organization and I am very excited about where it’s taking me. NAAAHR has truly been a blessing to my life. Where has it been all my life? Had I known about it, I would have been a member years ago! I’m just trying to find that nitch. My heart is going towards campus recruiting, Total Rewards, or a Human Resources Business Partner position. I love HR! It’s been an amazing journey! I love hearing different stories about diversity and inclusion coming from a different perspective. I also went to Emory in 2009 and took a web designing class and discovered a love for social media, community management, and building mobile applications, but that didn’t exist back then. That would be my dream job. I want to do something fun! Want to hear more about JoAnne and her yearly participation in Tim Tebow’s “Night to Shine” prom that celebrates individuals with special needs? Or her active service on the Board of Directors of “U Hope”, a not-for-profit organization that assists homeless men in the city of Atlanta? 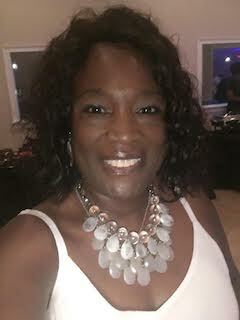 Attend our next chapter meeting at ROAM – Galleria to meet JoAnne and other professionals on September 12, 2018. WE LOOK FORWARD TO GREETING YOU!! !